Looking to Volunteer? Need Volunteers or New Members? Welcome to Volunteer Salmo! 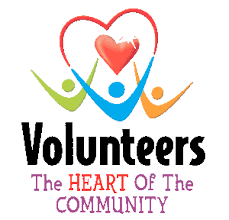 Volunteer Salmo is a directory that connects volunteer organizations with community members looking to join an organization or volunteer for a special event. Complete this Volunteer Request Form and return it to us by email, fax or in person and we’ll create an ad for your organization on this website. Those looking to volunteer can then contact your organization directly. This is a free service, but please be sure to let us know when your position has been filled. “The Volunteer Factor – Lifting Communities“. This year, four of Salmo Valley’s outstanding volunteers were honoured with a Salmo Valley Volunteer Long Service Award at the Tuesday, April 9th Council meeting at SVYCC . This award is given to Individuals who have made significant volunteer contributions to the community for a period of at least 10 years. Ian McInnes – In has been actively involved as a volunteer with the Salmo District Golf Coursd as President, Vice-President or board member since the 1970’s. Coached girls softball and volunteered for many years for the Salmo Curling Rink and Junior Curling, Salmo Ski Hill, Salmo Recreation Commission and Trail Horseman Society. Volunteer Canada – Honour your volunteers with rewards from the Volunteer Canada store.